REPAIRS to Seaford Pier will cost $900,000 so it can be fully reopened to the public. 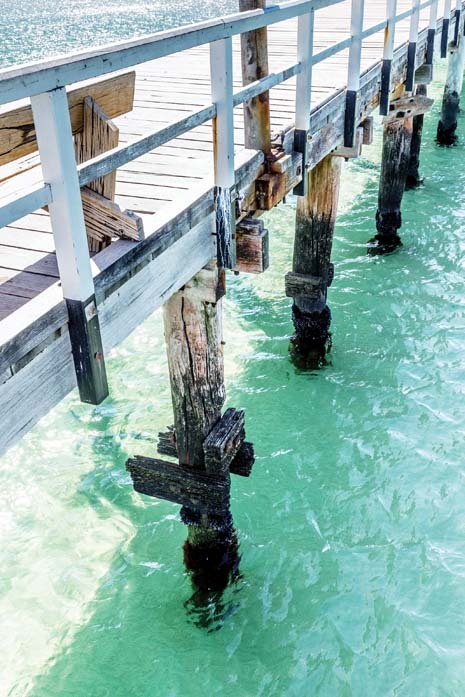 State Carrum Labor MP Sonya Kilkenny announced last Wednesday (23 May) that restoration works to replace damaged poles at the pier end will begin after a procurement process to contract out the works. “Seaford Pier is a local treasure that everyone should be able to enjoy – these works will allow local residents and visitors to enjoy the Pier for years to come,” Ms Kilkenny said in a statement. The funding announcement comes after The Times reported the end of Seaford Pier has been fenced off since late 2016 (“Pier end closed for over year”, The Times 13/3/18). It was closed due to safety concerns since pylons were damaged. Seaford resident Darren Gyss told The Times in March that he had been chasing Parks Victoria for more than a year for an answer on when the pier would be repaired and reopened. Ms Kilkenny’s latest announcement comes a month after a slick video by the MP on Facebook with the hashtag #onyasonya announcing “Terrific news — we’re going to fix Seaford pier”. Frankston North-West Ward councillor Kris Bolam noted there is still no timeline on when the Seaford pier will be reopened. 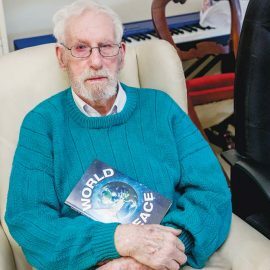 “There has been a lot of ‘back-patting’ going on but little detail insofar actually getting the work done,” Cr Bolam said. “I speak for many Seaford residents when I say I’d love to see the pier fully revamped and reopened as soon as possible. The pier was built in the late 1920s and featured in a scene in the 1979 Mad Max movie starring Mel Gibson as the subsequently iconic road warrior embroiled in motorcycle gang feuds amid a dystopian future in Australia with sparse fuel sources. The cult classic that launched the career of director George Miller had a budget of about $400,000.